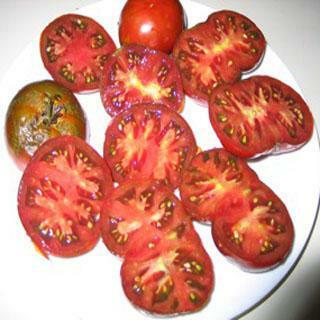 These tomato seeds produce small beefsteaks, 4-8 oz.are extremely attractive, brown red with gray olive shoulders. Heirloom Seed Packet. Small beefsteaks, 4-8 oz.are extremely attractive, brown red with gray olive shoulders. Fruits have substantial deep flavors with spicy overtones.